In conjunction with our sister company Dexcrest Technical Services, our procurement team offers competitive worldwide tendering across a broad range of products and services to internationally developed and recognised standards and codes. Our trained team of procurement specialists issue tender packages to approved suppliers, manage technical and commercial evaluations, negotiating the best possible prices, administer contracts and orders, reporting progress to clients in accordance with specific procedures. Our well established relationships with suppliers ensure that clients’ pricing and delivery priorities can be achieved. Our logistics function manages the flow of goods between the points of origin and destination in order to meet the requirements of our clients. It involves the integration of information, transportation, inventory, warehousing, material handling, packaging and security and all vendor documentation. 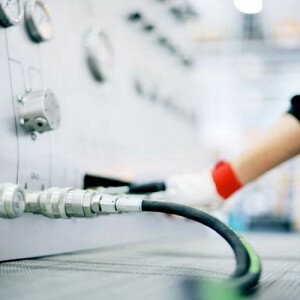 Our expediting service ensures the quality and timely delivery of goods and components at the agreed location, including production and provision control, QA/QC and project management. We ensure supply comes from Client approved vendor lists (if applicable). We negotiate with well-established oil and gas suppliers to get the correct material, the best payment terms and best delivery periods. We conduct thorough commercial and technical evaluations in line with regular EPC Contractor practice.